As you may know, carrier versions of the Galaxy S8 and S8+ have already been updated to Oreo at Verizon, T-Mobile, Sprint, and AT&T. We assume/hope that all carriers will update the Galaxy Note 8, too, within the 2-3 weeks timeframe mentioned by Samsung. 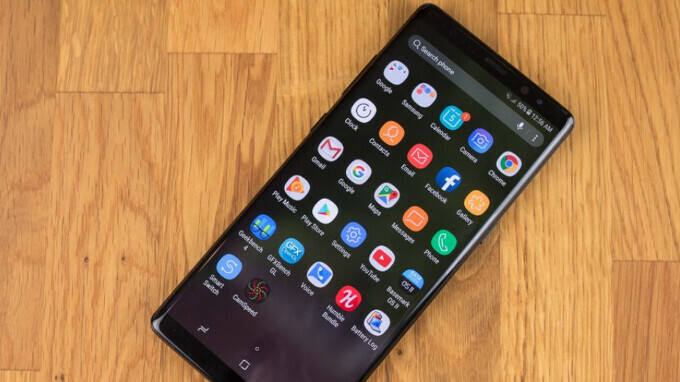 Samsung says that software update processes for its unlocked smartphones take a bit longer because these devices must go through more tests - in order to ensure proper functionality on all supported networks. In case you’re wondering, for now, Samsung doesn’t mention when the third member of its S8 series - the Galaxy S8 Active - will receive Android Oreo. Hopefully, it’ll happen soon. Oreo is still not on these phones? That's surprising, other brands have already uptaded all their phones that was supposed to be uptaded, even from 2016 !!! Takes longer for them because they have ensure processes over more avenues than say the Pixel 2. Some of what I have seen Oreo doesn't change too much of what the Note 8 does now.. They modify Android down to the framework, and add quite a bit. In the same way the Android can't release its newest version right after the newest Linux version releases, Samsung can't release their newest right after Android. The need time to rewrite it to work with the features they have that Android doesn't have, and it's needs to be done for each model separately. It's time consuming, because it's essentially a whole new fork. They'll be just fine, because most of Android's new features are already in Samsung's last version. People buy Samsung for the phones features, not its upgradeability. I agree, seems like Samsung waits to update their phones till the new ones have already come out. If they upgrade the current flagships then some of the customers would not buy the new phones. Just greeeed! As mentioned, Samsung doesn’t use a “skin” - it’s a whole framework retooling on an OS level. It’s essentially it’s own version of an OS built on top of Android. Samsung updates might be few and in between, but they’re very stable and have most of the major features that come in the next OS release and a lot of their own functionality tweaks that don’t. They take a little while but they’re polished. They don’t need 10 different updates bombarding frequently their users for stability purposes, unlike certain other companies. Yea, their own excessive and redundant version layered on top of Android, which in turn is creating a huge hiccup in their updating process. If their updates have been so stable why did they halt the initial rollout? Far from being polished...just look at their whole AI program with the dedicated button fiasco, which also was delayed immensely due to making it work with English. Unlocked versions not being on Oreo is just embarassing, no 2 ways about it. Look at the price of those old, outdated phones...still charging top $$$...horrible. Yep thats why i gave my S8 to my wife and bought an iphone X. I’m tired of playing the waiting game with Samsung. I know you can’t update a phone immidiately but this is ridicoulus. It’s been a year since oreo was announced.